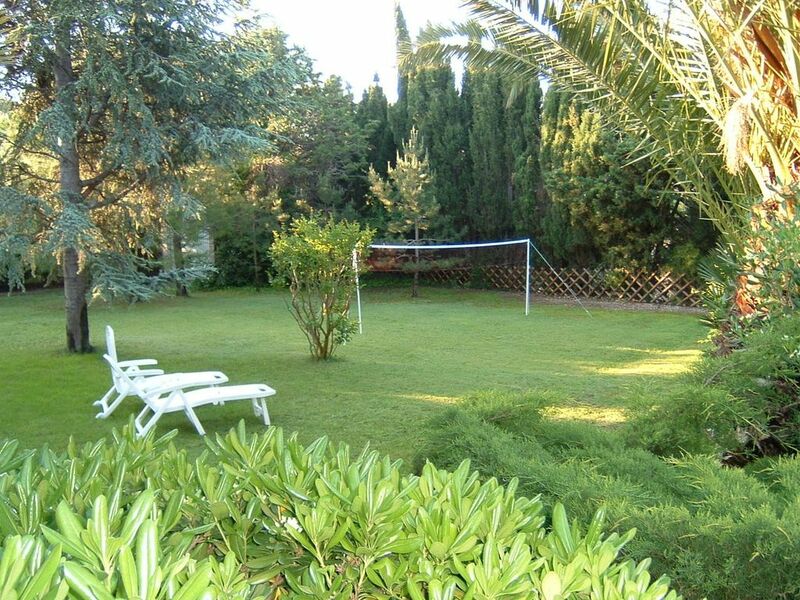 Superb villa 5km from the sea. Fully equipped house with air conditioning, a pool of 10x5 m secured by 2 gates to safety standards. The house is not overlooked, while being close to the center of the village (3 minutes walk). In the garden you will find an old oil mill converted into a barbecue for summer grills and many games (a ping pong, a swing, some bikes ...). The house can accommodate up to 6/7 people with the possibility of having 2 cots. Large garden with pine trees, palm trees. Aude is a tourist region with its African Reserve, an underground cellar 80m underground: Terra Vinéa in Portel, the City of Carcassonne, the city of Narbonne (with its Domitia way, its wine of Corbières and Fitou. Nicely situated in the village of Sigean with all stores in reach by feet. Two bakeries to choose the croisants and baguettes from in the morning. The beaches are easy accessible by car and there is also a lot more to discover. We also liked some small spots nearby: Isle Saint Lucie, the old salines and the Canal de la Robine near Port-la-Nouvelle. The garden is just great, spacious with big palmtrees flowers and shadow. A very nice pool with tile mosaic (no plastic) is fun for all. The old windmill is now a place to safely barbeque, even during strong winds. We had a warm welcome by the owner, everything was easy and stressless. beautiful garden with lots of birds ( hoopoos !!! ), wonderful pool, very calm, great surrounding, very nice and friendly welcome, absolutely uncomplicated, in summary: a place to relax ! Thank you. It was a pleasure to welcome you .